Sometimes you run across those places that are just simple and tasty in life. You know, that place you stop off for takeout on your way home from work or run to between episodes on a Netflix binge, because damnit, you just don’t feel like cooking that night. This is how I felt about Indy Tacos. 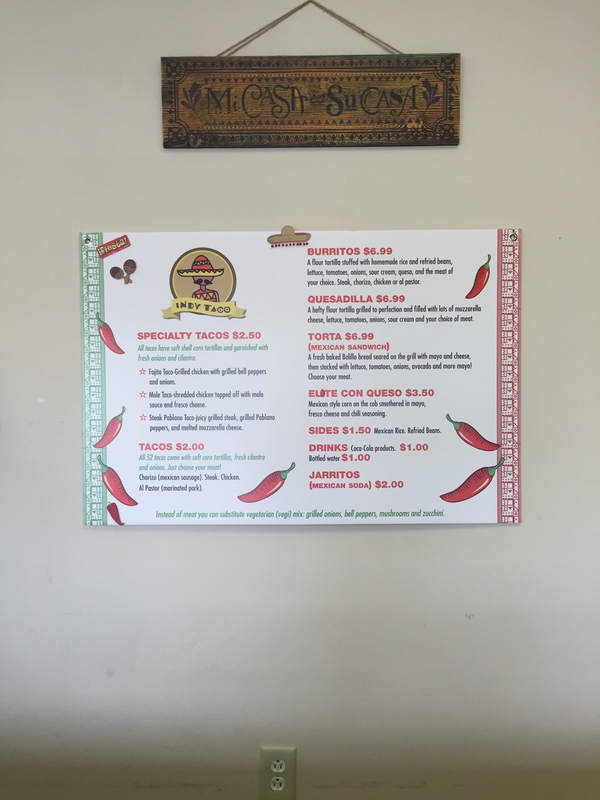 Although located in a nondescript strip mall at 54th and Keystone, and scantily adorned with decorations, the simple, authentic menu packs a tasty punch. With $2 corn tortilla tacos that will match any in town, corn on the cob slathered in mayo and queso fresco, and some darn-fresh guacamole & chips, Indy Tacos will not disappoint your taste buds. Check out some tasty shots of their dishes on Yelp. To provide a little back story, Francisco, the owner, had always dreamed of having his own restaurant, even in the days he still lived in Mexico. As the sous chef at Mama Corolla’s for 10+ years, Francisco finally made his dream a reality. 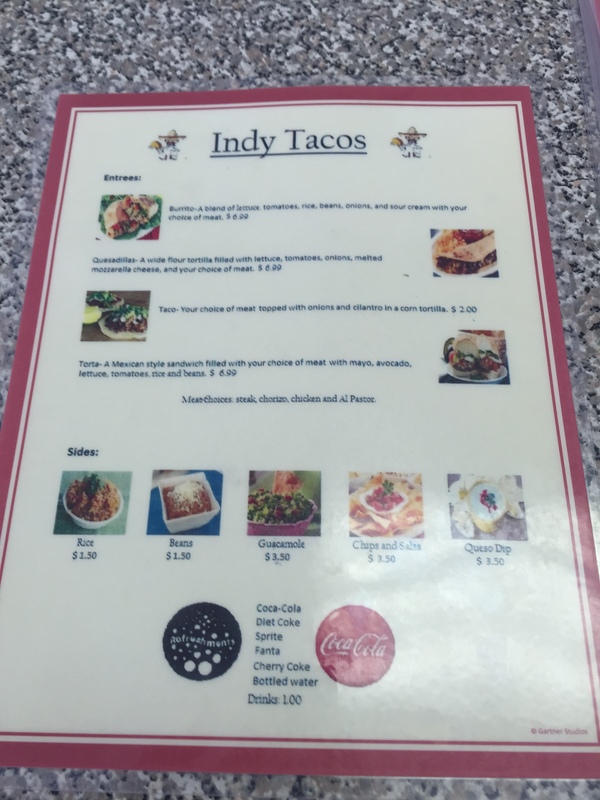 In just a few short weeks, Indy Taco has made itself a hit with Indy foodies, as evidenced by lines out the door and shout outs on Channel 13. Francisco’s daughter beamed with pride as she recounted the excitement of their early and quick victories in the Indy food scene. Check out their menu, and give these great folks a visit soon!